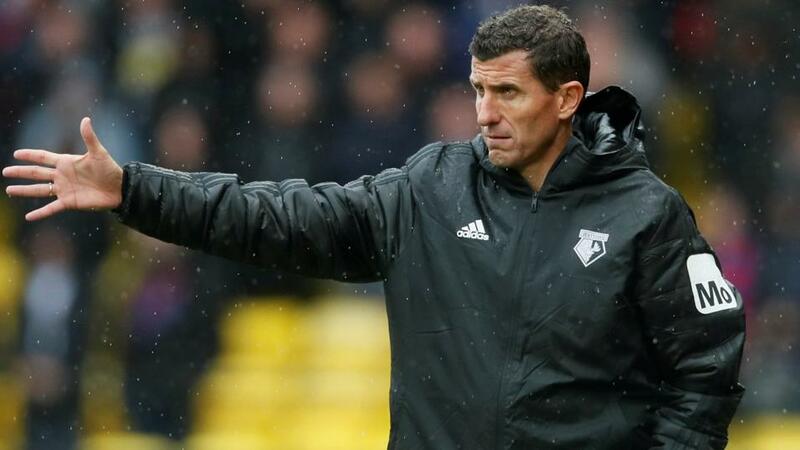 Can Javi Gracia's Watford sustain this run of form? "Watford have shown ability to win matches in two very different ways, either through the guile of their creative midfielders, or through physicality"
Saturday 17:30, BT Sport 1. Match Odds: Watford [4.5], Man Utd [1.97], The Draw [3.7]. If you'd been asked to predict which of these sides would have a 100% record after the first four games of the season, you probably wouldn't have picked Javi Gracia's Watford. But after a 2-1 victory over Spurs last time out, the Hornets are still flying high, and will be confident of causing Manchester United problems here. After a rare summer of little upheavel, in terms of both playing and coaching staff, Watford appear solid, settled and tactically intelligent. Gracia is using 4-4-2 system that becomes 4-2-2-2 when the side players drift inside, and Watford have shown ability to win matches in two very different ways, either through the guile of their creative midfielders, or through physicality, as against Spurs. Manchester United's defenders have struggled against physical presence this season, and it's likely Watford will seek to exploit that weakness here. Former Manchester United goalkeeper Ben Foster is enjoying life back at Watford, and is protected by a centre-back partnership of Craig Cathcart and Christian Kabasele, who have performed well so far this season. The full-backs both fly forward into attack: Daryl Janmaat attacks with energy and purpose, while Jose Holebas swings in crosses from the left. Their attacking intent means Watford's central midfielders have huge defensive responsibility, although Etienne Capoue and Abdoulaye Doucoure have both pushed forward and popped up with assists this season, and they'll be relishing the battle against United's midfield trio. Roberto Pereyra has arguably been Watford's best performer so far this season, even if he was quiet against Spurs, while Will Hughes has taken up some clever positions between the lines and smashed home a fine long-range goal against Burnley. Their movement inside creates space on the overlap for the rampaging full-backs. Upfront, Troy Deeney plays as the target man, although his link play is also very impressive. He's worked well with Andre Gray, who will make runs into the channels and attempt to reach Deeney's knock-downs. Who does Mourinho pick at the back? Jose Mourinho has selection problems here, with on-form Luke Shaw out after his head injury while on England duty, and Marcus Rashford suspended after his altercation with Phi Bardsley last time out. Marouane Fellaini is also a doubt having missed Belgium's two matches, although seems likely to return in midfield here, against a side who showed their physical presence against Watford. Phil Jones and Marcos Rojo are also unavailable, and Mourinho will look to choose his most aerially dominant centre-backs. Chris Smalling seems likely to start, with Eric Bailly or Victor Lindelhof alongside him. Bailly is surely the better player but has struggled badly this season. Lindelhof hasn't looked much better but seems likely to be favoured. Ashley Young will return in place of Shaw at left-back with Antonio Valencia on the right. They'll find themselves sucked inside by Pereira and Hughes, with Watford's full-backs overlapping bravely. Fellaini will probably play alongside Nemanja Matic and Paul Pogba in the centre of the pitch, with Pogba's battle against Doucoure likely to be entertaining. Ander Herrera is another option, but Mourinho always loads up his side with tall players when necessary, and this is one of those occasions. Romelu Lukaku will lead the line, and with five goals in three games for club and country, must be the favourite to open the scoring here. Alexis Sanchez finally assisted Lukaku last time out with one of his typical chipped crosses towards the far post and will be a threat from the left, while Jesse Lingard or Juan Mata will battle it out to start on the right. Mata might be favoured having not playing international football. I'm trying not to get carried away by Watford's start, as they were a shade fortunate against Crystal Palace, and yet it feels like they'll cause serious problems against United, who look desperately nervous when playing against strong, old-fashioned sides. There's more to Watford than direct play and physical confrontations, but for this game in particular, it feels like they'll target Bailly or Lindelhof and get some joy. Watch for Isaac Success coming off the bench, too - he made a big impact against Tottenham last time out. I'm surprised to see Manchester United odds-on after such a poor start, and will lay them at [1.97]. The Hornets maintained their perfect start to the Premier League season and ended Tottenham’s last time out when they came from behind to win 2-1 at Vicarage Road. This time they entertain a Manchester United side that have already suffered defeat at Brighton and a crushing 3-0 defeat at Old Trafford against Spurs. United got a much needed victory at Burnley last time out but this will be tougher against a well organised and confident squad of players. Only Liverpool have conceded fewer goals than Watford and no team has faced fewer shots on target so far this campaign. Watford have scored at least two goals in their opening four fixtures (also scored 2 in the Carabao Cup v Reading) and while United may have kept a clean sheet last time out, they conceded in each of their other three games, I don’t see them keeping Watford out in their current form. I think United are plenty short enough trading a shade odds on at [1.97] and are worth taking on at that price.